Each bilingual volume in The Defiant Muse series includes 60 to 80 poems by both well-known and rediscovered poets, selected on the basis of their individual merit and as illustrations of the evolution of feminist thought and feeling. Reflecting their own cultural milieus as well as enduring themes, the poets write of love and friendship, revolution and peace, religion, nature, isolation, work, and family. The Dutch, French, German, and Italian volumes represent their respective countries; the Hispanic volume includes poems from the many Spanish-speaking nations; and the Hebrew volume encompasses writing in Hebrew from around the world. The poems are presented in their original languages alongside English translations. 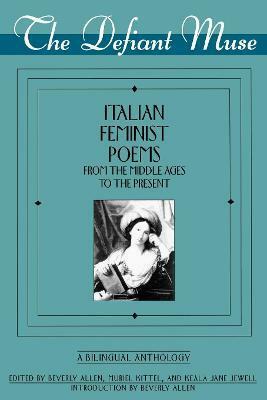 Each volume includes an introduction, placing the poetry in historical and aesthetic perspective, and full biographical and bibliographical notes on the poets.